Klayman: Yes and So Could Mother Teresa! 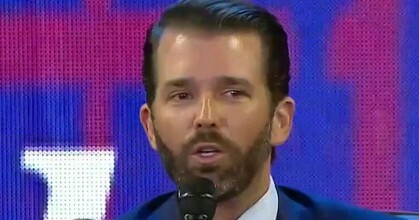 Will Don Jr. be indicted by the NY Southern District? The Mueller report has been released, leaving many asking why Donald Trump, Jr., Jared Kushner, and Ivanka Trump have not been named, given their numerous connections with Russians. Could the president's children be in legal jeopardy? Joy Reid and her panel discuss.